This website provides maps and streamflow data for all monitored streams in the US. 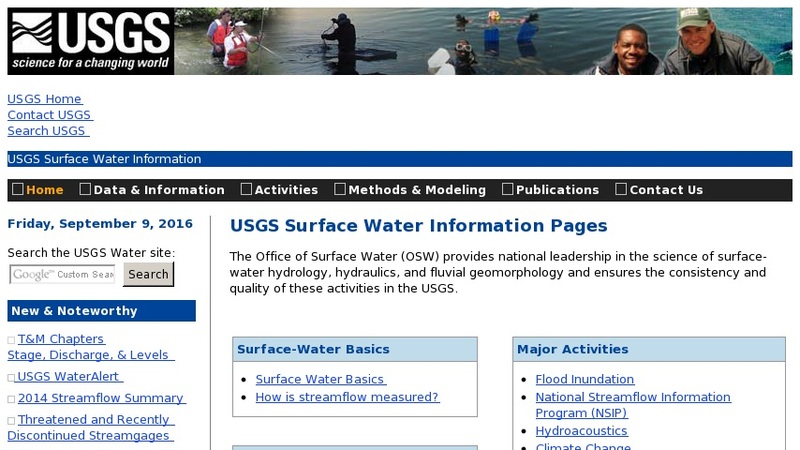 Links to USGS fact sheets and reports, data sets, publications, facilities, programs and techniques are also included. The site is helpful for designing activities on flooding and water rights.